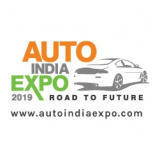 Auto India Expo is largest automobile exhibition to spread across multiple cities of India, from Chandigarh, touring, Jaipur, Ahmedabad, Indore, Raipur, Pune, Hyderabad and Nagpur. It is going to be a 4 month long extravaganza of Automobile excellence. Come be a part of this journey where we will witness Innovation, Current trends, latest technological advancements and big launches from the industry. MOTO BRAIN Innovation Challenge on INNOVATION, SAFETY & GREEN REVOLUTION Prize worth lakhs.